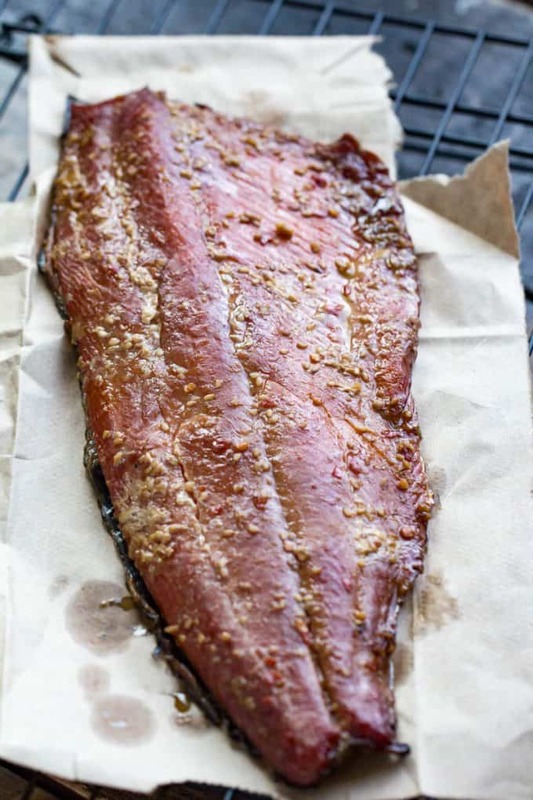 Teriyaki Smoked Salmon is a hot smoked salmon recipe that is brined and then smoked on our Traeger wood-pellet grill. 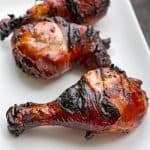 A super flavorful teriyaki sauce is painted on several times during the smoke to infuse the whole piece of meat with delicious Asian-inspired flavors. Smoking salmon is one of my favorite ways to prepare the bounty of fish we have available living in the Pacific Northwest. It’s a great way to preserve and freeze your fillets. Smoked Salmon is wonderful to have available for a quick and delicious appetizer. It also makes an amazing afternoon snack. 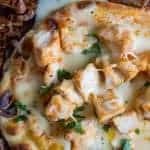 I have several Salmon recipes here on my site that uses different spices and flavors. 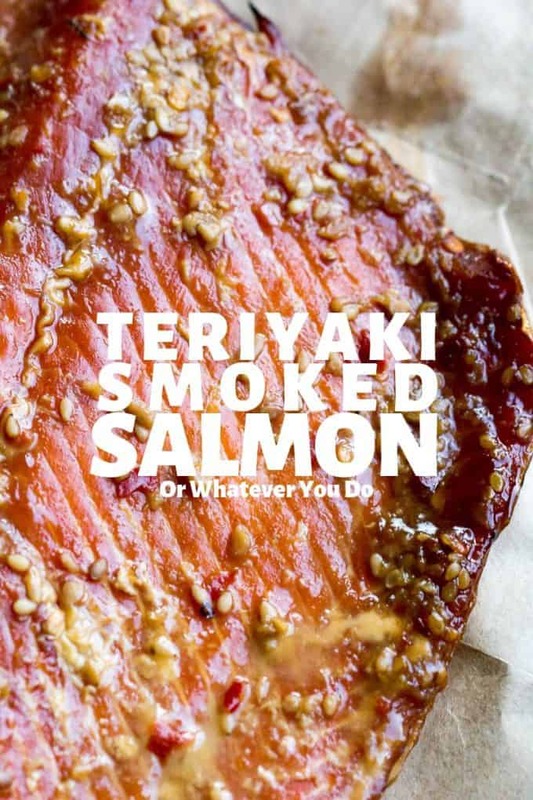 This Teriyaki Smoked Salmon is a wonderful addition to your recipe collection. 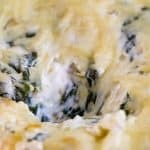 Especially because of the bold and savory flavor! Teriyaki is a Japanese cooking technique in which foods are broiled, grilled, or smoked with a glaze teriyaki sauce incorporated into the mix, usually during the cooking process. In a broader sense, “Teriyaki” in the Pacific Northwest can also refer to a type of restaurant of a kind of food. “Let’s go out for teriyaki!” can mean you are eating a grilled piece of chicken with teriyaki sauce alongside some white rice and a green salad, or any number or more traditional Chinese dishes that they seem to serve at these types of restaurants like Orange Chicken, General Tso’s Chicken, Honey Walnut Shrimp, Mongolian Beef, or just a big bowl of stir-fry. 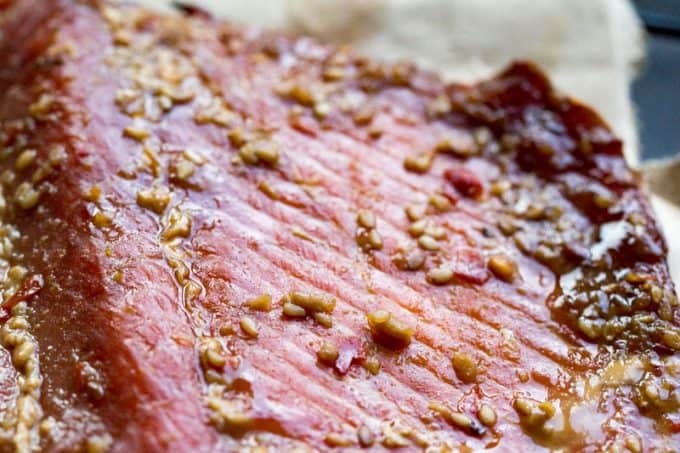 For this recipe, I’d recommend just buying a high-quality teriyaki sauce. 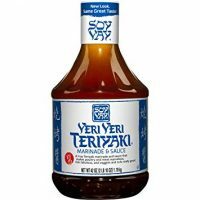 What other recipes can I use teriyaki sauce on? 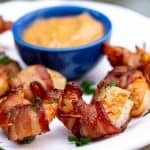 I am a big fan of teriyaki sauce, so we have tons of recipes here that feature it. 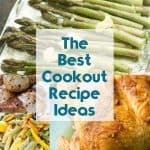 Make sure and check out these! 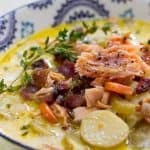 What kind of salmon should I use for smoked salmon? I have a full detailing of the different types of salmon over on my Togarashi Smoked Salmon post. I included a bunch of information there about the different kinds of salmon and what they are most commonly used for. 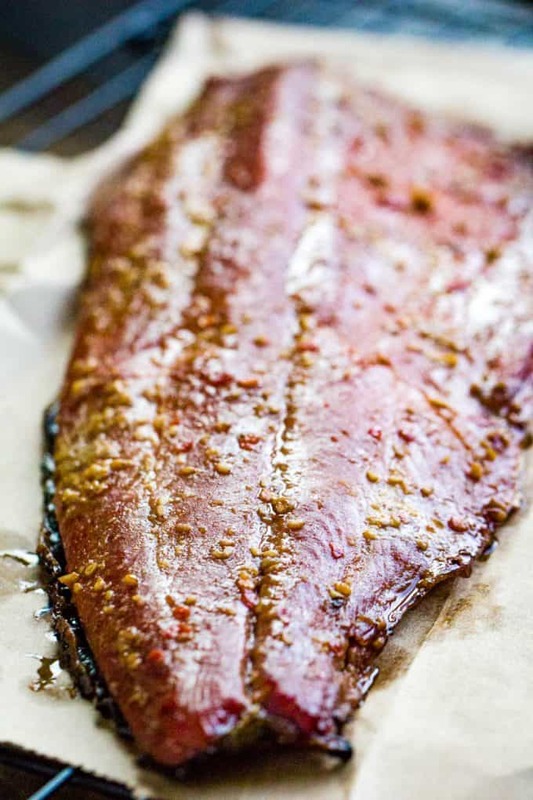 Plus, as long as you’re considering smoking salmon, why not try a few different flavors at the same time? If you serve a platter, your guests will enjoy the variety! The cliff notes are King Salmon or Silver (Coho) Salmon are our favorites. 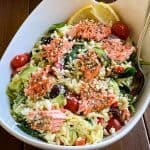 What else can I make with Salmon? Salmon can be used as an entree, an appetizer, a snack, or a great luncheon option. You can even get really creative and include it in your breakfast or brunch recipes! 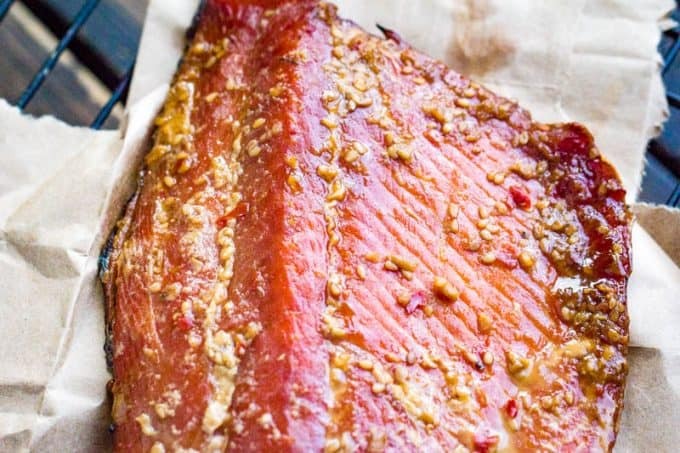 With camping and picnics around the corner, Smoked salmon or fresh salmon cooked in foil pouches would be a great change if you want to incorporate a little nutrition into your outings this spring and summer! 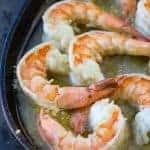 So impress your guests with a beautiful seafood dinner, or serve them a wonderful appetizer platter with a variety of smoked salmon flavors. 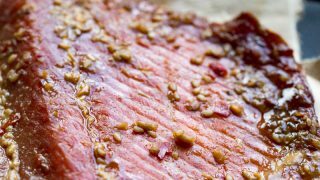 Take this Teriyaki Smoked Salmon along on a picnic, or to your church potluck! Any way you decide to serve this salmon, you can rest assured it will be enjoyed and appreciated! 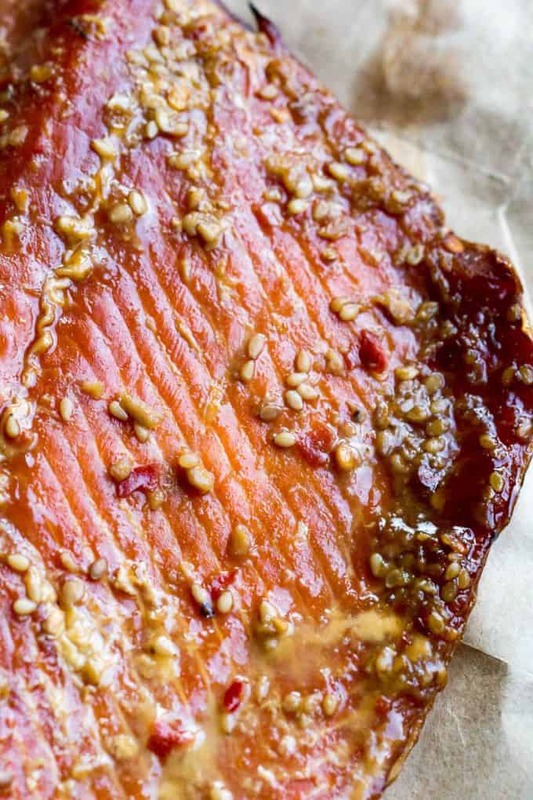 This tender hot smoked salmon is coated in teriyaki sauce and smoked on the Traeger wood-pellet grill! Smoke for 4 hours, and don't let them smoker get above 180° or fall under 130°. Every 30 minutes, gently brush on a bit of teriyaki sauce.